This contemporary improvisational quilt is fun to piece and once you get the process, it goes very fast. 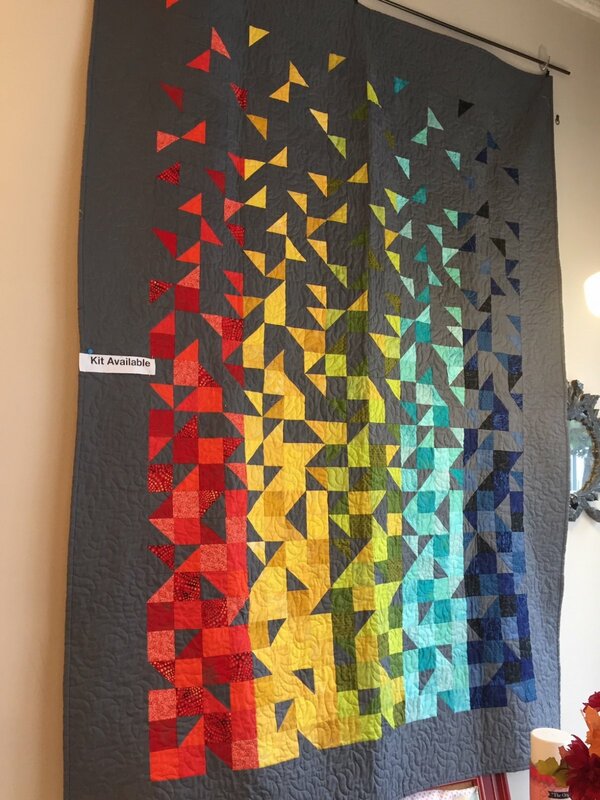 The blocks in this quilt are made from only one strip size. The cutting is super easy! You decide which way is up. This kit includes all fabric to make the quilt kit top and binding.